The final frontier must become more of aninternational endeavor or space exploration could stagnate, according to threeveteran astronauts from two different countries. Only through further collaboration betweennations can humanity reach its next major space goals, the spaceflying group —which included a former NASA astronaut, an American space tourist and the firstChinese man to fly into space — said at the 26th National Space Symposium inColorado Springs, Colo., this month. "I think the development of spaceendeavors is not for one nation or one country," said Yang Liwei, China'sfirst astronaut. "I myself as an astronaut, I believe that the multinational, theinternational cooperation is the future triumph of the development of spaceindustry," he said through a translator. Liwei flew aboard China's first mannedspaceflight, the Shenzhou 5 mission in October2003. "During the spaceflight I showed thenational flag of China, but as well I displayed the flag of the United Nationsthat showed that it is the common cause of all mankind and that we are comingto space for peaceful purposes." He noted that flying over variouscountries while in space required no visa, because the Earth and space belongto all mankind. Former NASA astronaut Tom Henricks, a veteranof four space shuttle missions, agreed. He said that the future in space willrequire much more collaboration between countries than there's been in thepast. "I don't think any major effort in spacewill again be done by a single nation," Henricks said. "They may eachhave individual sub goals, but it's a human endeavor to go to Mars, and I think that'sthe way it needs to be approached." Henricks was part of a recent Americandelegation that visited the Chinese space and launch facilities — in somecases, they were the first Westerners to view these sites. "More importantly than seeing thefacility and how modern and prepared the Chinese are for the programs, it wasseeing that they are open and willing to cooperate and to move forward,"Henricks said. While America has a longer space history to draw upon, Chinawill have more resources to devote to space in the future, he said, and thesefactors would make for a great collaboration. The third panelist, American computer gameentrepreneur RichardGarriott,traveled to space in October 2008 as a paying customer aboard a Russian Soyuztrip to the International Space Station, a $100 billion space outpost built by16 different countries and five major space agencies representing the UnitedStates, Russia, Europe, Canada and Japan. Garriott, who is the son of former NASAastronaut Owen Garriott, said he witnessed the teamwork between Russians andAmericans first-hand while training and flying aboard the station, and calledspace exploration "ultimately one of the greatest and most importantcatalysts for international cooperation on Earth." Yet, the future of space partnerships willnot be a perfectly smooth road, he said. For example, he also witnessed "periodicpolitical butting of heads," between the nations over who provides whichservices and for what price, he said. 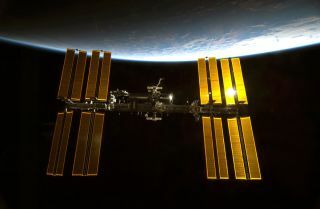 For example, earlier this month NASA signed a$335 million deal with Russia to buy six new round-trip seats on Russian Soyuzspacecraft to ferry astronauts to the International Space Station between 2013and 2014. That deal boosted the price per seat to $55.8 million, up from $50million in an earlier agreement that ends in 2012. "I agree that it will demandinternational cooperation, but I think that our nation as well as many of ourpartner nations still have some work to do as far as really politically workingtogether as well as we need to to accomplish these goals," Garriott said.